Last weekend we had the opportunity to do fabulous florals for a stunning event at The Club at Carlton Woods Nicklaus and Fazio club houses. 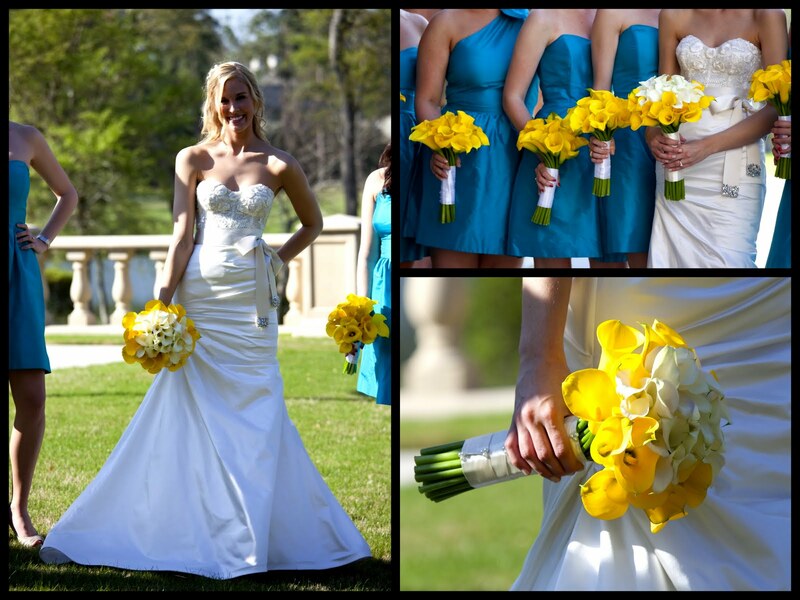 The beautiful bride carried a bouquet of all miniature calla lilies in shades of white and yellow in a traditional beadermier style. While her bridesmaids carried all vibrant yellow miniature calla lilies. 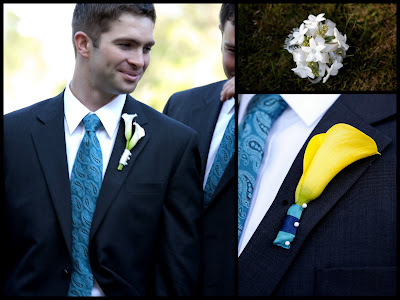 The Groom wore a double miniature white calla lily boutonniere, while the groomsmen wore a yellow miniature calla lily with a two tone blue ribbon wrap. 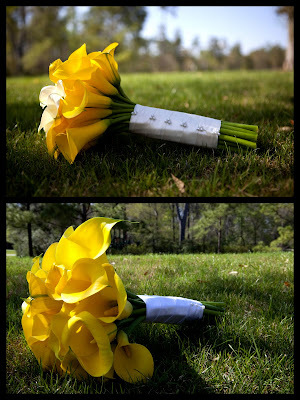 The mothers had fabulous wrist corsages of stephanotis blooms on a clear swarowski crystal bracelet. 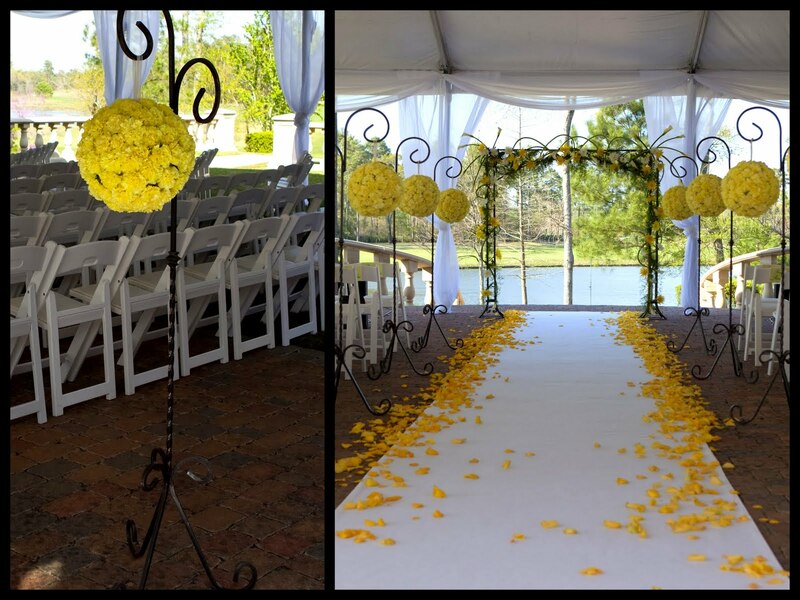 Her ceremony was held on the veranda behind the Nicklaus club house, under a beautiful white tent. 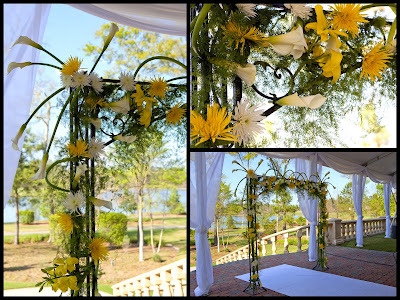 The aisle was adorned with our gorgeous shepherd hooks with soft yellow pomander balls on either side, a thick aisle runner with yellow rose petals on each side and a beautiful square arch covered in starfern, white calla lilies, yellow asiatic lilies, white and yellow spider mums and mixed greens. 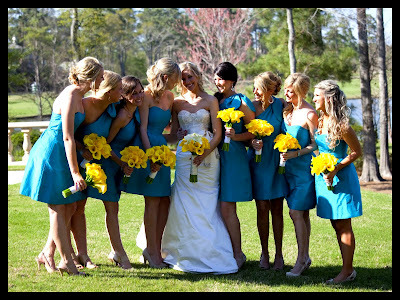 Her color pallet was vibrant and calming, almost reminiscent of a house on the beach on a warm sunny day. Her ceremony was a combination of various shades of teal and blue with white and yellow accents.